FWAA – Five finalists for the 2018 Bronko Nagurski Trophy – presented annually to the nation’s top defensive player by the Football Writers Association of America and the Charlotte Touchdown Club are listed below. 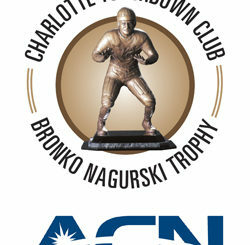 The annual Bronko Nagurski Trophy Banquet, presented by ACN, will be held on Mon., Dec. 3 at the Charlotte Convention Center. 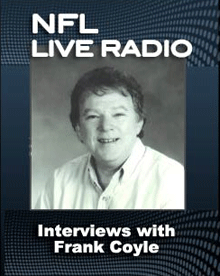 Ohio State’s Tom Cousineau, a member of the FWAA’s 1977 All-America team and a College Football Hall of Famer, will be honored. Michigan head coach Jim Harbaugh will be the keynote speaker at the banquet. Quinnen Williams, NG, Alabama (6-4, 295, So., Birmingham, Ala.): The upstart sophomore leads Alabama with 14.0 tackles for loss for minus-58 yards and is tied for 11th in the SEC with 5.0 sacks and a 0.5 sacks per game average. He posted a career game against LSU, tallying career highs in tackles (10) and sacks (2.5) and tying a career high in tackles for loss (3.5). Williams, who earned the Outland Trophy Defensive Player of the Month for October, clogs the middle and allows those around him to create havoc – Alabama has had at least 10 tackles for loss in five of 10 games and in three straight. The Crimson Tide’s 36 team sacks and 3.60 sacks per game are both tied for No. 3 nationally. Has been named a defensive player of the week by the Alabama coaching staff eight times in 10 games. 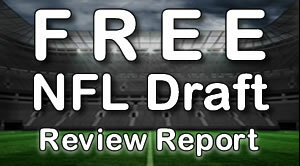 The Football Writers Association of America, founded in 1941, consists of 1,300 men and women who cover college football. The membership includes journalists, broadcasters and publicists, as well as key executives in all the areas that involve the game. The FWAA works to govern areas that include game-day operations, major awards and its annual All-America team. 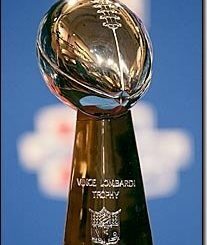 The Charlotte Touchdown Club is a non-profit organization founded in 1991 for the purpose of promoting high school, collegiate, and professional football in the Charlotte, N.C., region. The club’s activities and services focus community attention on the outstanding citizenship, scholarship, sportsmanship, and leadership of area athletes and coaches. Since 1991, the club has raised more than $2,000,000 to benefit area high school and collegiate athletics. 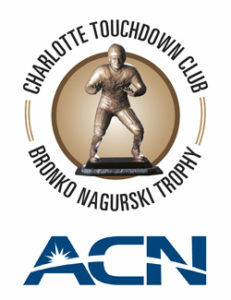 The official website of the Charlotte Touchdown Club is touchdownclub.com.